It was 1897 when a group of European artists in Vienna decided to break the rules of art and promote a new style. They call it the Viennese Secession and their exhibitions begin immediately to create scandal and be considered outrageous. The movement is founded by Gustav Klimt, who claims to want to change history and want to combine painting, sculpture, architecture and minor arts together. In these years, at the beginning of the 20th century, Vienna together with Paris is the cultural centre of Europe and a magnet for musicians, artists and writers. And with a new free thought scandal and conflict soon arrive. It is the Vienna of great painters but also of enlightened entrepreneurs who finance them. And the protagonist of today’s painting is just one of them: Adele Bloch Bauer. Gustav Klimt painted the portrait of Adele Bloch Bauer in 1907 along with other paintings commissioned by the Jewish family Bloch Bauer, in two of which Adele is the protagonist. However, the painting is stolen by the Nazis during the Second World War, with the excuse of paying some back taxes by the Jewish family. Adele is portrayed standing in front, with her hands together and immersed in gold. His gaze is lost in staring at the viewer and the woman is wearing bright jewellery. Despite the gold background typical of other famous works by Klimt such as the Kiss or the Giuditta, this time the figure appears to be in a room with a green floor, thus giving the idea of perspective and a specific setting for the picture. It will be considered the last of the golden paintings and therefore the last conclusion of “Gustav Klimt and the Golden Period”. On the left a gold wall, while on the right is Adele wrapped in a dress made of gold and eye shapes. These eyes repeat themselves dozens and tens of times, multiplying and making a real drawing in reality completely abstract. This is Klimt’s idea of combining painting and minor arts, design and decoration. And he succeeds, really well. Adele is not the only woman painted by Klimt in her works. The wealthy families of Vienna of the late nineteenth century commissioned him with many portraits, but certainly Adele is special. 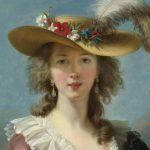 They have called her “the Monnalisa of Austria” and the history of the painting does not stop with its realization. In fact, Adele, wife of a rich Austrian sugar entrepreneur, dies of meningitis at a very young age in 1925, before the start of the Second World War. The painting remains to the husband an family, but is then confiscated by the Nazis until it reaches the collection of the Belvedere museum in Vienna. It was exhibited here for many years, until 2006 when it was returned following a legal battle between Austria and America to the legitimate owner, Adele’s niece: Maria Altmann. Maria is a Jewish woman who escaped from the deportation to America and managed to rebuild her life thanks to her opera singer husband and the cashmere trade. Another Jewish descendant of emigrants helps Altmann in its mission to recover the family works: the nephew of the composer Arnold Schönberg. 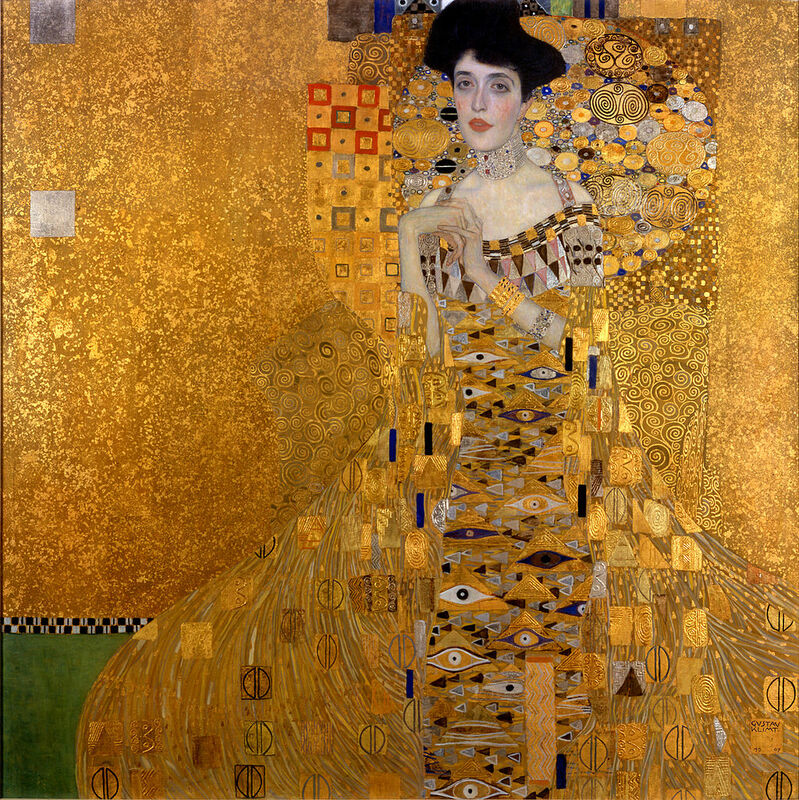 Adele’s painting and Maria’s lawsuit were the protagonists of a film entitled Woman in Gold, which I talked about in my post on the 5 films for art lovers. And the story of these women and the picture that unites them has struck me so much. Through the narration of war crimes, the parties of Altman are taken against the Austrian government because the issue of public enjoyment against the belonging of the work of art to the private collection is raised. The picture, in fact, once won the case by Adele’s niece was sold in America to the billionaire Ronald Lauder who paid him 135 million dollars. Thus it entered history for another reason: the primacy for 4 months as the most expensive painting in the world. Now the work is at the Neue Gallery in New York where it will remain thought since it was given to the sole condition that Adele could be exhibited in the permanent collection forever. If you want to go and see the “woman in gold” as it was defined by the Germans to hide her Jewish origins, then it will be enough to organize a trip to New York, as all the Austrians will have to do. The same Austrians who greeted her with regret when she left the Belvedere of Vienna. In fact, some billboards have been made for her that greeted her “Ciao Adele”. And I understand them because even for me the Portrait of Adele Bloch Bauer is one of the most beautiful paintings in the history of art and my favourite work by Gustav Klimt. 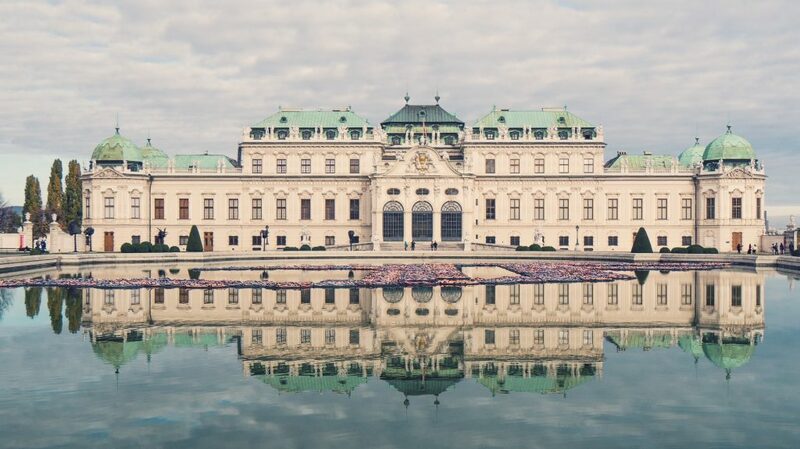 And I wouldn’t have minded seeing him at the Belvedere, where I have been so many times when Vienna was a fixed destination for my travels for several reasons. For me, the Belvedere is indeed a landmark of the city for two reasons. The first is that from there I can get anywhere without using Google maps and the second that keeps wonderful masterpieces. So if you are planning a trip to Vienna, I recommend you add it to your wish list.